After a delirious first night together, Shi Guang found herself waking up to a cruel reality… a breakup initiated by him, ending their relationship! What? Why? How? These were the questions that bugged Shi Guang’s mind in the two years after he left without a trace. Just as she thought that she had finally managed to get over him, Lu Yanchen suddenly appeared before her and before she knew it, she had to get married to this man who had dumped her two years ago?! What? Why? How? These were the questions that Shi Guang were faced with after his mysterious appearance once more. Just what are Young Master Lu’s motives? Why is he always watching out for her even though he was the one that had dumped her? What’s with that tsundere attitude of his…?! This is a really sweet novel about a couple that just annoys one another in the cutest ways. Lu Yanchen is a descendant of a powerful aristocratic military family. Cold, aloof, genius and sharp, this is a man that has it all – status, smarts and looks. But none of that matters when it comes to affairs involving his silly woman as everything melts away into an encompassing warmth. 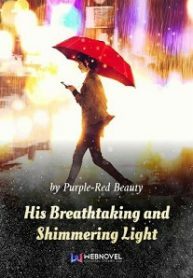 Purple-Red Beauty is someone that spends a lot of time building the settings of her novels. Earlier on, I too was rather annoyed at some of the things that Lu Yanchen did. But once the story gets on track… everything suddenly seemed even sweeter than before!